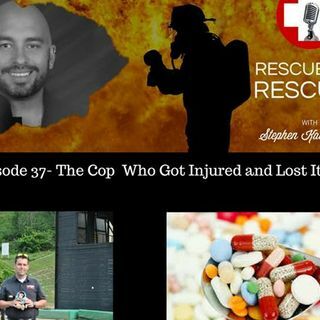 Join Greg Cunningham, Former Cop share his jaw dropping story of an injury an innocent prescription to manage the pain, and the avalanche of destruction that caused him to lose it all. I am a former police officer with over a decade of experience. I worked narcotics at my department and was also assigned to a drug task force. After a few injuries that ended up in the exposure to a drug I couldn't put down. Well where does a narcotics officer turn when they have a substance abuse issue. ... See More At the time it looks like if you ask for help at all you will end up losing your job or being sidelined along with losing the respect of the officer and other first responders around you. I quit the police department in order to avoid possibly embarrassing the department. I ended up a full-blown addict. I have over 5 years clean and I am now making it my mission to help addicts everywhere by making people realize that having SUD is nothing to be ashamed of. It is a medical issue not a willpower issue. http://directory.libsyn.com/episode/index/id/6572001 , https://www.facebook.com/LTADW/ , http://mindfulhope.com/shame-the-best-way-to-kill-people/ .